Lacotta has used the latest technology to develop new paving products that allows the user of our products to add character to the paving installed. We have developed three products that allow us to simply insert a solar light into the product thereby lighting up the areas at night. The light insert is available in three products, namely the 200×200 bullnose, the 250×250 flagstone and the 185×185 cobble. 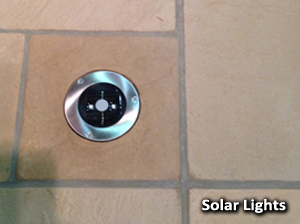 Our 200×200 bullnose with a light allows the user to light up pool surrounds and patio steps at night. 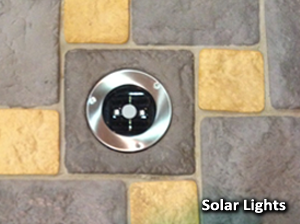 The 250×250 flagstone with a light allows the user to light up their patio and walkways at night and the 185×185 cobble with a light allows the user to light up garden edging and driveways at night. All the products can beautify your homes at next to no cost. 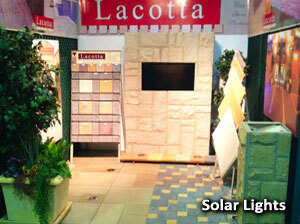 Solar lights are used in the products which keeps with Lacottas policy of being as environmentally friendly as possible. They were specifically designed for paving and are available from ACDC. We can supply you with the product code of the light to be purchased. 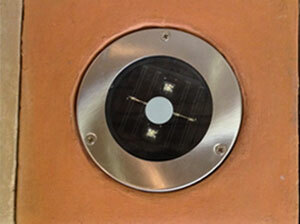 The lights can generate 10 hours of light from 4 hours of sunlight. They don’t require any wires to be run and are therefore homeowner friendly. Feel free to contact us should you wish to know any more about our exciting new products.